A native of Florence, SC, Bette Cox attended the University of South Carolina at Florence, now Francis Marion University. With her husband Tim Cox she owned and operated Executive Services of the Pee Dee, Inc., a business services company, from 1986 until shortly after Tim died in 2006. She has served as a grassroots activist for many pro-life and pro-family issues-based causes and candidates from the 1980’s to the present. Below is a more complete resume of her personal, business, community and political activities. Elizabeth G. “Bette” Cox grew up in Florence, South Carolina, in the heart of the Pee Dee region of South Carolina. 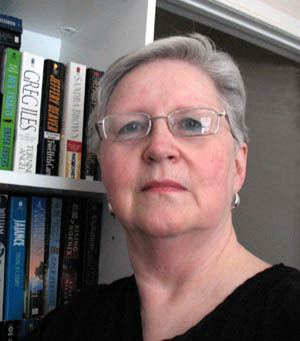 She attended the University of South Carolina at Florence, now Francis Marion University, and in 2006 completed the coursework from UCLA-Davis, receiving a Certificate as an Oral Historian. She has two children, two grandsons and three great-grandchildren. She and her husband Tim Cox owned and operated a business services company, Executive Services of the Pee Dee, Inc., for twenty years in Florence. After Tim’s death in 2006 Bette retired and the company was closed. A lifelong citizen of Florence, Bette has been an active worker for conservative and civic causes for many years. For several years she wrote a regular newspaper column titled “Family Memories.” Articles told stories of her life growing up in Florence, or recounted interviews she did with others about their lives growing up. Many of those stories are now available online on one of her several blogs, S.C. Family Memories. She was the host of “Talk With Bette,” a weekly radio talk show on WOLS-1230 AM in Florence for several years prior to that. Interviews were conducted with a wide range of guests, from industry leaders to candidates for public office, CEO’s to local pastors. “If it interests me, it will interest you,” she says. These days she writes a blog with that title that includes posts of varied interests and issues of the day. Bette is an active member of Trinity Evangelical Presbyterian Church in Florence, South Carolina where she served as church pianist for many years, retiring from the music staff in 2015. Altogether she had served as a church musician for nearly 50 years. In the 1980’s she also served as pianist for the Full Gospel Businessmen’s Association (where she and Tim met), and for the Women’s Aglow meetings in Florence. A Bible student and teacher for over forty years, Bette began speaking, teaching, and writing articles and Bible study guides in the 1960s. Her devotional newsletter, Esther’s Petition, is now available online. After retirement from business, she has spent a good bit of her time studying, writing, communicating with and praying for people here at home and around the globe. In 2007 she joined the OM Ships missionary organization and served as a volunteer in the Florence office for two years, also visiting the Logos Hope ship while it was undergoing refitting for service in Kiel, Germany in 2008. Bette developed an interest in genealogy many years ago and eventually was able to trace her father’s family tree back to the early 1700’s in South Carolina. A natural outgrowth of her interest in genealogical research, the Family Memories Division was added to her company and she assisted several families to preserve their life stories. www.BetteCox.com – Bette’s website, dedicated to her first love, writing. Bette maintains an active presence online, using social media to stay in touch with people and issues around the world and especially in the Middle East. One time when I felt something to petty to take before the Lord in prayer, and was in deep thought about it; He spoke to me and said: If it is a concern to you, than it is a concern to Me.” I have never forgotten those words; as I ponder upon your statement I can see that the same. Many thanks for the observation – our Lord is indeed concerned with whatever concerns us!